I suppose that almost as long as there have been soldiers there have been letters home. 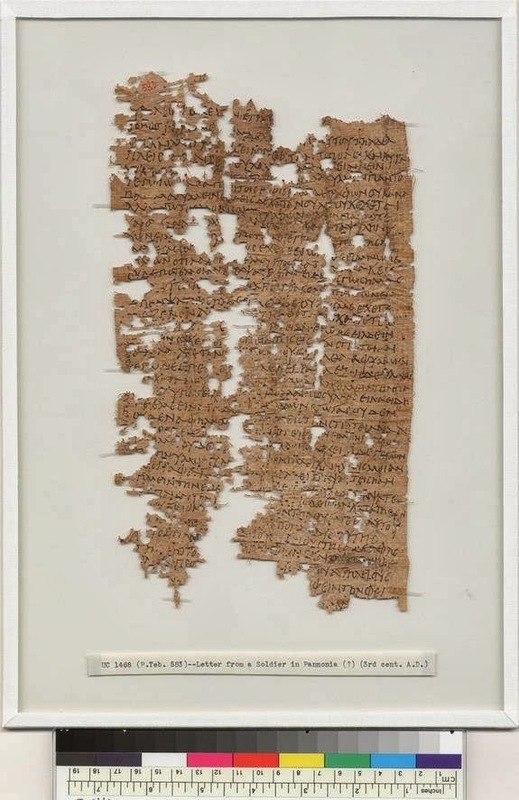 Read this fascinating article about a letter written by an Egyptian soldier serving in the Roman army about 1800 years ago. As I was reading this articles, I couldn't help but see some similarities to the language in some of Paul's epistles. I am not suggesting any direct parallel but I did find it interesting.